Zimbabwe's police and military patrolled the streets of the capital, Harare, Tuesday as a helicopter fired tear gas at demonstrators blocking a road and burning tires on a second day of deadly protests after the government more than doubled the price of fuel in the economically shattered country. Eight people were killed Monday when police and military fired on crowds, according to Amnesty International. But Zimbabwe's government said that three people were killed, including a policeman who was stoned to death by an angry crowd, according to Information Minister Monica Mutsvangwa. The anti-government demonstrations amounted to "terrorism," said Mutsvangwa on state television Tuesday night. The protests were "well coordinated" by Zimbabwe's opposition, she said. She urged people to return to work and said the government forces would guarantee their security. She also said the government intends to pay an allowance to government workers to cushion them from the effects of the fuel price rise. This has been Zimbabwe's biggest unrest since deadly post-election violence in August. Witnesses also reported violence in the eastern city of Mutare, where people attacked passenger buses and destroyed some shops. 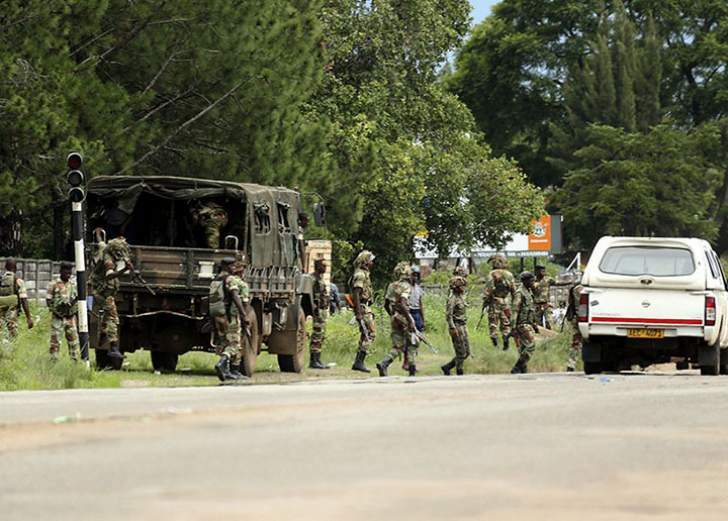 Mutare was quiet by late Tuesday and there were reports of security forces going from home to home in that city and assaulting men suspected of participating in the protests.